BMW and Brilliance also plan to start producing gasoline engines at a plant in Shenyang. FRANKFURT -- BMW Group expects to sell a combined 1 million cars in China within three years, a company spokeswoman told Automotive News Europe, confirming comments from a senior executive at the automaker's joint venture in the country. Duan Jianjun, deputy sales chief at BMW's joint venture with Brilliance China Automotive, told Chinese media at the Guangzhou auto show today that the automaker was striving to match sales to date by selling another 1 million cars between 2012 and 2014. "It is realistic unless the market deteriorates. If conditions remain as they are, then yes, it is a fair estimate," the Germany-based spokeswoman said, referring to Duan's comments. China's luxury car market has slowed after years of rapid growth, though demand for high-end cars remains strong as personal wealth increases. Luxury sales in the country continue to account for 9 percent to 10 percent of overall deliveries. BMW Group's China car sales rose 52 percent to 27,828 last month, boosted by demand for the locally built X1 SUV and the long-wheelbase version of the 3 series. With 264,884 BMW- and Mini-brand vehicle sales in China through October, the company's volume is up 35 percent compared with the same period a year ago. Despite the surge, BMW is still second in Chinese premium-car sales to No. 1 Audi, which increased its 10-month volume in the country 31 percent to 332,959 vehicles. 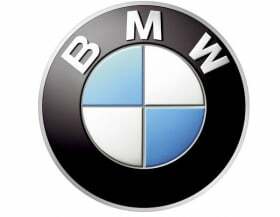 In 2011, BMW Group's China sales rose 38 percent to 232,586, making it the company's third-largest market. Daniel Kirchert, senior vice president at BMW's China venture, separately told China's Sohu.com that BMW Brilliance Automotive was preparing to launch a China-only car. He did not provide details. In separate developments, BMW and Brilliance said they plan to start producing 200,000 four-cylinder, 2.0-liter gasoline engines a year at an engine plant in Shenyang. The venture is also building a second assembly plant in northeast China to initially double its capacity to 200,000 vehicles, later rising to 300,000.